January's miles and hours are significantly down on last year, when my totals reach 963 miles and 58 hours in the saddle. I've got a fair few excuses for that though... After the Festive 500 I came down with a chest infection, that put me off the bike for around two weeks. Then mid-January the weather gods decided to dump a load of that white stuff, and I ended up on the rollers for almost a week. Then this week, I was in a hit and run accident, when a driver pulled out on me; fortunately I wasn't too badly hurt, but the bike didn't come off so lightly, so the later part of this week has been a write-off as well. In summary, I'll be glad to put January behind me to be honest; it's never a great month of the year for me, and I hope that as we edge closer to the racing season things will start to improve. *Note: For those that follow me on Strava and wonder why these numbers don't link up with my records on there, it is because I don't record my 95 miles a week commuting on Strava, nor do I include any indoor sessions. Hope that you are recovering OK following the accident Tim.. Thanks Trevor, I'm doing OK thanks, bike is just about up and running again and I am just a little sore. Will be out getting the miles in tomorrow morning all the same. Hope all is good with you. The Isle of Wight Classic The 26 mile race runs across the Island, from Freshwater Bay to Sandown Airport. It is an orienteering set-up, but along a pre-defined mostly signposted route; with 75 percent of it off-road along the central and southern ridges of the Isle of Wight. Most previous editions of the annual race have been held in September, and I have competed in conditions ranging from scorching 'Indian Summer' heat, to Force 10 winds and torrential rain in the tail-end of a hurricane. The event has now shifted to a March date, which gives it far more of an early season 'Spring Classic' feel. The Polartec Alpha® Fabric is exceptional. Designed in collaboration with the U.S. Special Forces, it is made to be incredible light, insulating, and adaptable to varying temperatures. Japanese brand PEdAL ED have utilised the wonder fabric in the new Tokaido Wind Vest, and the results are good. The Tokaido Wind Vest was designed by PEdAL ED after experiences in the Transcontinental Race and Silk Road Mountain Race—both ultra-distance cycling events, where kit is demanded to be super lightweight, and adaptable to incredibly varied temperatures. The Tokaido uses Polartec Alpha in its purest form: with no internal lining or layering, so that the garment is super light and packable. On the outside of the vest is a lightweight windproof fabric to protect the wearer from wind-chill. In the 'Kit Care' series I look at how to rejuvenate and re-use well worn kit; saving you valuable money compared to replacing favourite pieces of cycling apparel. In this first post, I consider the frequent question of how to re-waterproof and restore a waterproof cycling jacket. Waterproof shell jackets using fabrics such as GORE-TEX, Polartec NeoShell, and eVent are designed to last. With proper care and attention there is no reason the waterproofing and performance of a jacket cannot last for many seasons. The key is how to wash and treat these waterproof jackets. GORE-TEX and other similar waterproof fabrics such as Polartec NeoShell, eVent and Conduit use an advanced waterproof membrane to provide a waterproof and breathable layer within a garment. This fabric is often coated on the outside with a DWR (Durable Water Repellent) finish — to provide the 'beading' of water that you see on the surface of a jacket. The Restrap Rando Bag is designed to be a go-anywhere do-anything front rack pannier bag; with a semi-rigid construction to make it easy to load, and extra stable. I have used Restrap's panniers, handlebar bag, and frame bags for numerous long distance tours, and they are faultless. While I have not taken the new Restrap Rando Bag on any global adventures, yet; it has been fitted to my run-around Quella Varsity single-speed bike, and it is performing very well. I came across this film earlier this week, and images from it have been flashing through my mind ever since. It makes me long for the open road again—for the escape and adventure. This week I published a new blog: 'The Expedition Journals' — theexpeditionjournals.com. The sister site to Life In The Saddle will be dedicated to long-form story telling from my biking, hiking, kayaking and running adventures. Putting the new site together, and watching this short film reinforced something in my mind—I have a deep-seated love of 'the journey'—a desire to escape and see new places; whether by bike, boat, or on foot. "Sometimes it breaks me. But mostly, it makes me..."
I am still putting together plans for my 2019 'Big Tour'—I am undecided on the destination, bike type, or distance. Spin Cycle Mag Issue 2: "Wiggo's World"
Would a Leniency Policy for Drugs Cheats Work? A life of adventures, both on two wheels and more recently on the water, demands reliable and versatile equipment. The Victorinox Ranger Grip Boatsman is quite probably the only pocket knife tool that you will ever need for exploring the back-and-beyond and open waves. I grew up in a family of sailing enthusiasts and spent many summers teaching sailing to cadets. One thing that was drummed into me from an early age was the importance of having a good knife with you when you are on the water. A sailing knife is a necessity to handle frequent tasks like seized shackles, but also it is a vital safety aid in the event of you becoming entangled in rigging or ropes. As my summer explorations began to focus around bikes as much as boats, I began to appreciate the importance of a good pocket knife for these adventures as well. Wild camping and cooking necessitate a good blade, and accessories like a corkscrew, bottle opener, can opener and pliers, are useful for obvious reasons. I have previously reviewed the very well designed Thule ProRide 598 Bike Carrier on the blog, and praised its practical and durable design for transporting bikes on the roof of your car. Ever since owning that bike carrier I have been keen to try one of the innovative T-track slide roof racks from the Swedish brand, to see if they truly deliver on their promised fast access and ease of use when combined with Thule's roof-top rack accessories. I rarely wear office shirts these days, but casual shirts are something I still definitely appreciate. The Swrve CORDURA® Combat Wool Button-Up Shirt is a luxurious and smart, yet incredibly practical piece of smart-casual wear, which looks at home both on and off the bike. Another year comes to a close — months of memories and miles found. 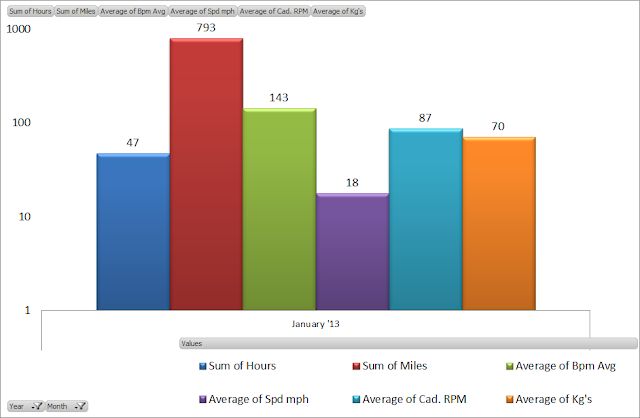 I began the year with very few objectives, ideas or motivations; but finished with a ride log that surpasses any of my expectations. Here is a look back at the last twelve months — 12 photos to commemorate another great year in the saddle. Year End Statistics Numbers are certainly not everything, but they can tell a story. Below are my figures for 2018, as well as a break-down of the bike types ridden. My personal record broken this year was for elevation gained – 400,000 metres is the equivalent of climbing to the top of Mount Everest from sea level, more than 45 times — dedication to the #insearchofup motto. I have always had a love of mountains. I grew up by the coast, but take me into the majestic land of peaks and valleys, and I suddenly feel at home. 'Mountains' by Michael Blann is the only book I have discovered that seems to be able to articulate this deep-seated emotional connection through print; it is a literal and pictographic window into the hidden beauty of the mountains of Europe. When I have toured across Europe on journeys like the #7Countries7Passes and #RoadsFromRome, I have felt an undeniable bond with the mountains. I would ride across the plains of Germany or fields of Northern Italy and feel very much alone—isolated in a foreign land. Yet, as soon as the road turned skywards and the snow-capped peaks appeared on the horizon; then, I would feel calm and at peace—as if this was a sheltered home.